Home / Needlework / Crafts for children: what to do with a child? Crafts for children: what to do with a child? 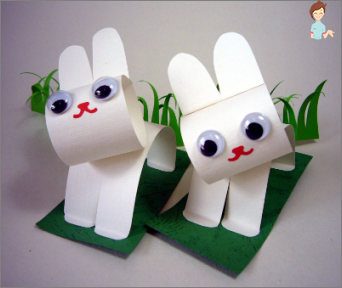 If you want to please your child, thenTeach him to make paper interesting crafts. So you not only give him some terrific memories from childhood, but also accustom him to creativity. And this is very important, because every person should be able to look at life out of the box. Why paper? If only because this material is generally available, and even if the kid spoils several leaves, nothing terrible will happen. 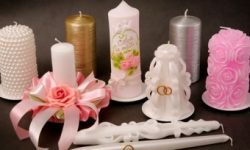 In addition, making paper crafts withChildren, you can spend more time with them, which will definitely have a positive impact on your relationships with him in the future. There will also be assiduity and a habit of doing all of my assignments from the first time. Therefore, even if you do not have the opportunity or the time to take your child to special preschool mugs, you can devote two or three hours a week to ordinary applications or unpretentious origami. We will begin, perhaps, with applications. The simplest thing is to offer the kid not to paint, but to cut out some colored elements from the surrounding world. For example, you can suggest creating a forest or cloud image. In general, you can cut everything that your imagination will suffice for. Above all, do not let your child cut out green clouds or red grass. Thus, it is possible to violate the integrity of the perception of the surrounding world. And this is not very good for mental development. Cut the applications best of color paper. But, if you did not find one at your fingertips, you can cut out different elements, and then paint them with pencils or gouache. Then glue the elements onto a piece of paper. Attention! Be sure to watch how the child uses glue. At all it is impossible, that the kid thought, that it can be pulled in a mouth. And before poisoning near! Before embarking on joint creativity, you and your baby need to stock up on everything you need. And, of course, you will need a wish. After all, a child from time to time can not understand that you want to do something like this, and not otherwise. But be patient, because even in such a childlike form of creativity, it is his view of life that will be displayed, but not yours. And even if you only have one smallA piece of paper and a few napkins, you can make a completely stunning applique. Here, for example, a bunch of grapes. First, explain to the baby how she looks. Can even show the picture, good in an age of modern technology is not such a big problem. Then take a small piece of paper, hover the contour of the future application. Now you need to color the leaves and stalk withUsing ordinary pencils or markers. 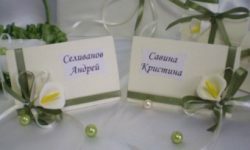 Napkins you need color, you will not have white grapes on a white sheet. We will create the drawing as follows: pull the napkins into small pieces. Then each piece must be slightly crumpled and glued in place grapes. And so the whole bunch. Near, of course, it turns out not very carefully, but, how much joy will your child have when he sees that the result of his work is similar to a natural product. Precisely on the same principle, you can do anything. The main thing is to include imagination, and you will definitely get something original. Let's start with the simplest. Take a sheet of colored paper and circle one palm over the contour. Then gently cut it. From a colored paper of a different color, you need to cut out a bow and skirt. If you want, you can decorate them with a few more elements. For example, peas, as shown in the picture. In general, after a few minutes of trying, you will have a nice little octopus, which will definitely be able to please your child. Do you want some kind of 3D toy made of paper? Then offer your attention to the machine. All you need to do is print the image and cut it along the dotted line. Then bend the paper in the right places and glue the craft. That's how you can create children's hands completelyA terrific thing. And even if it does not turn out very beautiful, all the same - this trinket will someday become priceless for you. It's a memory of your baby's childhood! Children always want to take part in trainingTo the celebration of the New Year. They will not cook salads or clean the apartment, but they will be able to make several decorations. If you have a small apartment and put a large Christmas tree is not physically possible, you can make it a paper version, which can be attached to a cabinet or wall. Let's start with the fact that you need a colorPaper of several green shades. On each sheet you need to draw a contour palm. You can make such a tree as a whole family, because the branches of the tree should be of different sizes. After the palm has already collected a lot, gently cut them. Now you need a large piece of paper orCardboard. From it we will make the foundation of our New Year tree. It must necessarily be triangular, because the real tree is expanding. On the received basis we glue the obtained branches, giving the fir-tree shape. So our New Year tree turned out. You can hang it anywhere, because it looks pretty decent! 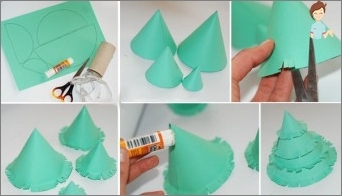 If you want, you can cut outContrasting colored paper ornaments for its paper herringbone. The main thing is that they are not too much, because the abundance of jewelry will not allow to consider the originality of the tree itself. You can also make a New Year's garland. With its help you can perfectly decorate the doorway or furniture. Do it as follows: fold an accordion a small piece of colored paper, and in such a way that when bending from it turned out a fan. Then, fix the middle of each fan so that it does not unbend again into the accordion, with the help of a usual clerical glue. Such fans need to be done quite a lot. After all, the more they are, the longer your garland will turn out. Preferably, if you will compose it from multi-colored elements, for example, green and red. The garland itself is very simple: You just need to glue all the fans one by one, applying the sides to each other, the bottom to the top. 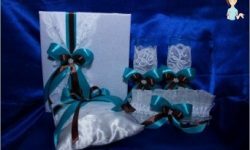 The resulting decoration will perfectly decorate your house, giving it an additional festive atmosphere. Doing crafts with the child, you can notOnly develop small motor skills, but also learn. For example, if you make a clock in the form of an application, it will be much easier to learn the numbers for your child. And there is nothing difficult in such a small craft. You just need to cut a small circle out ofColored paper. And then paste on it the cut out arrows and numbers. In any case, even if you are a little bothered, this time can not be considered lost because it is so interesting to create something with your baby. As you can see, you can do something with your childAnd even useful. It turns out that any, even the smallest piece of art for children from colored paper brings a lot of pleasure to you and your child. So please be patient and have ideas! Good luck to you!